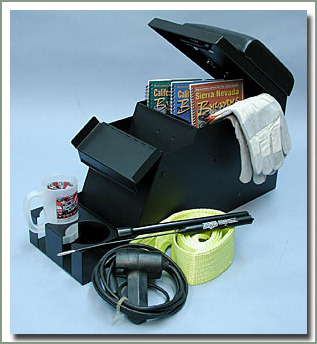 Specter is proud to offer the ultimate in center consoles and security storage boxes by Tuffy. 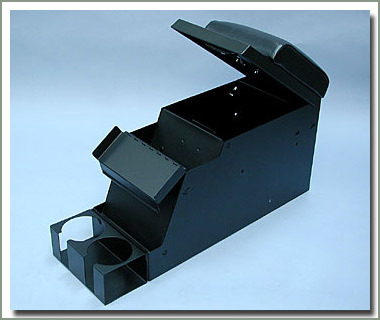 These boxes are manufactured from 16 gauge steel that is machine formed with welded seams. 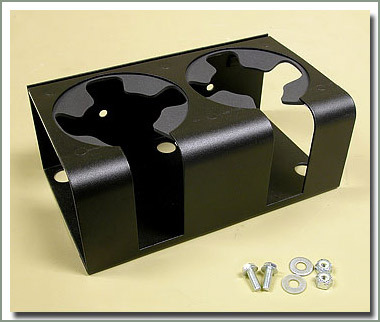 These boxes are powder coated for a long lasting durable finish. Each lid features their exclusive Pry-Guard locking system & neoprene rubber seals for all weather protection. 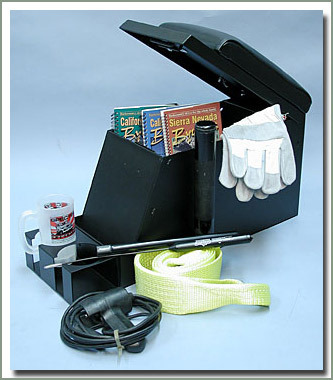 We carry a selection of different sized center consoles, some with the provision to mount a stereo. 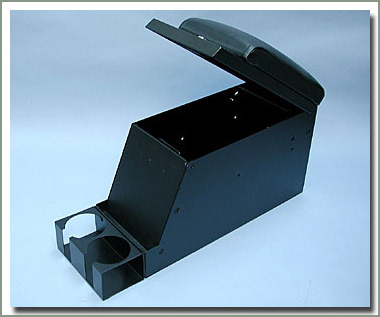 We also offer individual speaker boxes & rear area cargo boxes w/speaker mounts in them. We offer each of these boxes in 3 different colors: Black (B), Light Gray (LG), & Dark Gray (G). 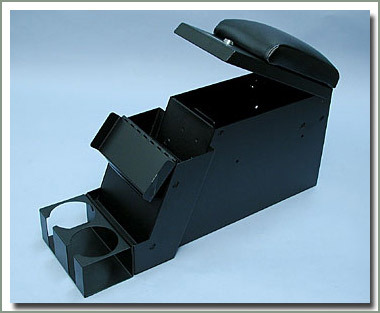 Center consoles come with matching armrest pad, made from marine grade vinyl the same color as the console. 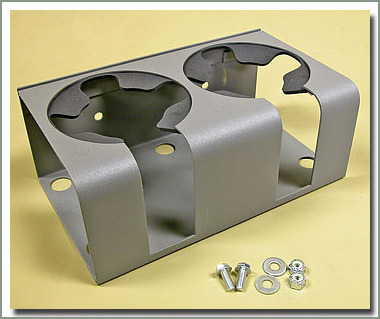 All Tuffy Boxes require custom mounting brackets except where noted. 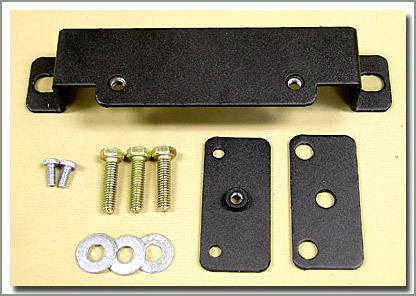 40 Series owners, click to see the mounting kits available for your Cruiser. FJ Cruiser owners, click here. 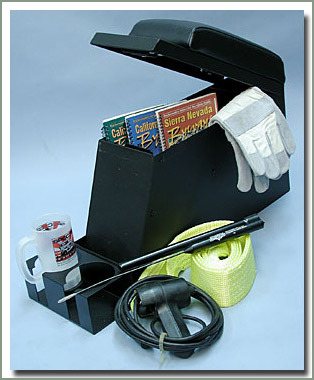 This is the thinnest Tuffy Console we carry. Single compartment with 2 drink holders. 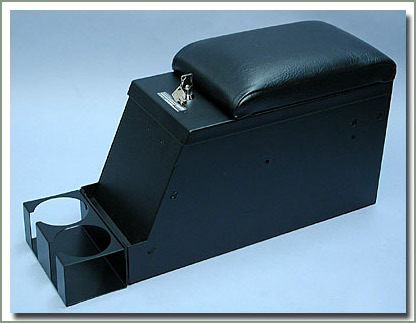 Has vinyl padded arm rest and locking lid with gasket. Dimensions: 24-inches long at the bottom, 6 1/2-inches wide, 16 1/2-inches high, 15 1/2-inches long at the top. Available in colors Black (B) or Dark Gray (G). 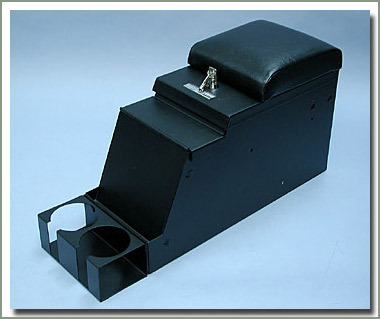 This is the thin Tuffy Console with a separate radio compartment at the leading edge. 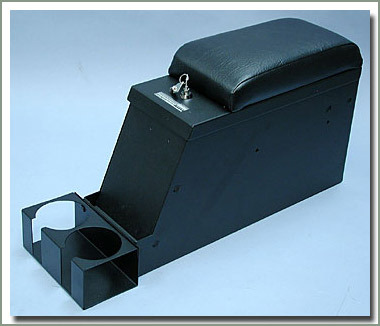 The stereo compartment has its own lid that locks under the main compartment lid. Both lids have gaskets. Includes 2 drink holders and vinyl padded arm rest. Dimensions: 24-inches long at the bottom, 8-inches wide front stereo compartment, 6 1/2-inches wide main compartment, 16 1/2-inches high, 12-inches long at the top. Available in colors Black (B), Dark Gray (G), or Light Gray (LG). This is the wide Tuffy Console. Single compartment with 2 drink holders. 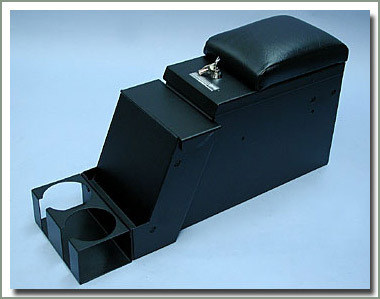 Has vinyl padded arm rest and locking lid with gasket. Dimensions: 24-inches long at the bottom, 8-inches wide, 16 1/2-inches high, 15 1/2-inches long at the top. Available in colors Black (B), Dark Gray (G), or Light Gray (LG). This is the wide Tuffy Console with a separate radio compartment at the leading edge. 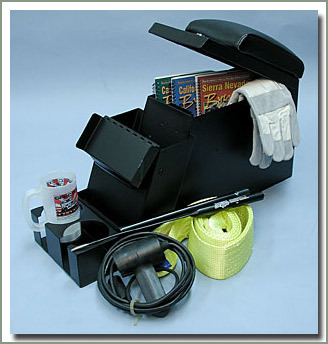 The stereo compartment has its own lid that locks under the main compartment lid. Both lids have gaskets. Includes 2 drink holders and vinyl padded arm rest. Dimensions: 24-inches long at the bottom, 8-inches wide, 16 1/2-inches high, 12-inches long at the top. Available in colors Black (B), Dark Gray (G), or Light Gray (LG). 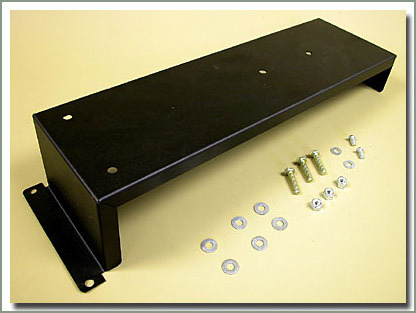 These Tuffy Console Mounts allows you to mount any of the tuffy consoles we sell into a 1973-1984 40 Series. 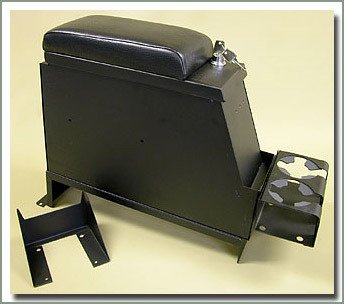 This mount attaches to the stock seat brackets. 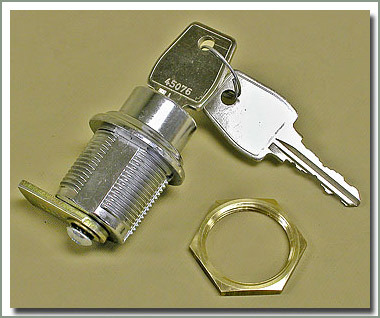 Comes with hardware to attach the mount to a console. 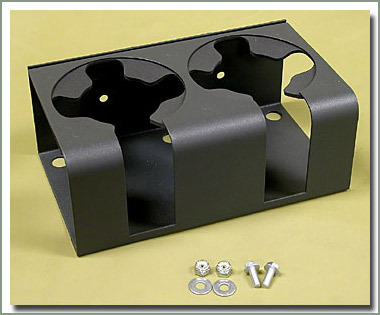 Steel construction with a black powder coat finish. #470-11 may require modification or relocation of rear heater. 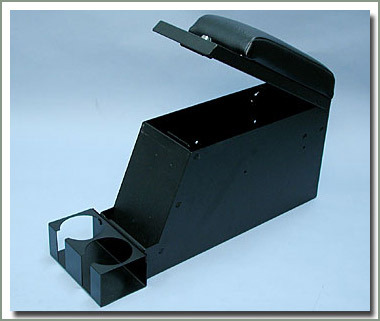 Fits 1979-1984 40 Series with stock seat brackets - Black powder coated finish - Attaches to the stock seat bracket - Comes with hardware to attach a console to the mount - Does NOT fit with 8/80-1984 Optional Center Console Heater.